Do you have a mobile app, or are you thinking of creating one? If so, you will need to generate thousands (or at least hundreds) of downloads a day on a daily basis. Here are 12 techniques to leverage that can help you market your app like a pro. The app stores are the number one driver of app downloads for the vast majority of apps. There are three things you need to do to optimize your app store listing to get the largest number of downloads possible. The first thing to do is to get an SEO (search engine optimization) professional to help you understand what keywords to try to rank for in the app stores, amount of competition per keyword and the amount of demand for the keywords. The SEO for app stores is called ASO (app store optimization). Once you understand what keywords you want to try to rank for, create a professional app logo, beautiful screenshots, and write an amazing description and title that are rich with the keywords you are targeting but also very appealing to people. Lastly, once people get your app, make sure the app is engaging. Work to increase the time spent on the app and the number of times people open the app. Those are ranking factors that will help your app store rankings. If you do the above items well, you should be getting hundreds of downloads per day from the app store. If you are not, then think again, about how well you have implemented the above suggestions. Can they be improved? And lastly, make sure your app gets good reviews. The reviews are a big part of your app store listing. So first and foremost, your app must satisfy your users. Otherwise, everything else will be that much more difficult. Everyone wants PR, but less than 0.1% of new apps are covered by major tech or general news publications. And even the ones that do get coverage, either do that through hiring a PR agency (think thousands of dollars a month), have great connections or just have incredibly amazing apps. To get coverage for an app, being very good is not enough. The app and its story have to be amazing because there are already thousands of good apps out there. The bar of quality to get PR is quite high. So here is the scrappy way to generate your own PR if the options above are not available to you. First, go to iTunes and search for podcasts in your niche. Then email the hosts of those podcasts to see whether they would have you on as guests. You will not only leverage the exposure of the podcasts (talking about your business for 30 minutes), but you will usually also get a link to your site which will be good for your SEO. The next thing you want to do for PR is to join HARO. HARO stands for help a reporter out. When reporters need sources for stories they are working on, they email HARO. And if you answer HARO inquiries, you can get exposure from all kinds of publications. Your humble writer has been able to get exposure for various businesses via HARO from Website Magazine and Mashable to CBSNews and many other large publications that would be impossible to get mentioned in via regular means. So I know firsthand that HARO can work. Again, think of the SEO value of the links you would get from those sites. Most people understand that they need to be marketing via social networks, but do not quite manage to do that effectively. There are two general keys to effective social media marketing: 1) leveraging social media influencers in your niche and 2) expanding how broadly you think of social media marketing. To think about social media marketing more broadly, consider that blogging and guest blogging is part of social media. Additionally, think about Quora, Reddit, HackerNews and other sites in your niche where content is shared. As your users use your app, there will inevitably be some things that they can do with friends or people they know. That can be playing a game together, sharing content, or as the case in my business plan apps, writing a business plan, marketing plan or a fundraising plan together. Whatever features you create, think about whether people would want to use those features with people they know. Enable those features and you will get some lift in downloads from your users bringing you new users. Your website should also be generating downloads for your app. You can drive people to your website via SEO, guest blogging, social media, answering questions on Quora, posting on Reddit or participating in other sites within your niche. You can do a few things on your website. You should optimize it for app downloads with big download calls-to-action (or “buttons”). Most mobile app sites are just glorified landing pages that are made for one thing only: to get you to download the app. The challenge with that approach is that there isn’t a lot of content on those sites to promote other than the app itself, which gives you few promotional angles. To give you more flexibility in promoting your site, you can maintain a blog to create an unlimited amount of content, which you can then promote and target different keywords. By promoting that content, you will then be able to endorse your app on all of those pages that you separately create and promote. There are two options for your blog. You can maintain a blog on your site, or you can have an entirely different site for your blog like I do with Glowingstart.com. The advantage of having a different site is that you can try different promotional strategies on the two different sites, and compare results. Plus, the topic of your blog will only loosely need to match the topic of your app, which will give you more creative freedom. This is one of my less favorite approaches, but it can work. Simply find partners that are willing to cross-promote with you. You can drive people to them, and they can drive people to your app. These can be mobile apps, websites, podcasts or anything else. The key is that you would get as much exposure as you are giving to your partners. Remember, whenever you are sending one of your users out of your app, and toward your partner’s app, you are killing engagement of your app, which is damaging to your app store optimization (ASO). For that reason, this is one of my less favorite approaches. So think twice about whether you want to do this. You can certainly get downloads by paying for ads on mobile apps and websites. This can be very viable, but only once you have established and proven your business model. Also, keep in mind that your business model is not your revenue model. A revenue model is just a part of your business model. Your business model is all the moving parts of your business (marketing, monetization, various costs, etc.) and how they play together. If your business model can afford you to be able to pay for ads, there are many options available to you. The most common business model for apps is the freemium business model and the best revenue model is the subscription-based revenue model. 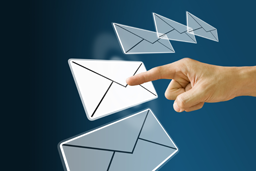 As part of maintaining a blog or via features inside your app, you can collect the email addresses of your users. That will enable you to get instant exposure and your own PR whenever anything noteworthy happens. For example, if you have an app update, a new blog post, a new YouTube video, or anything else, you can send an update to your email list and drive them to your new offering. In addition, you can also make money from your email list by notifying them of things you are selling, or other kinds of offers. Speaking at events can bring many benefits to your business. Of course, the obvious benefit is that the audience may download your app. That is only a minor benefit compared to the potential of speaking engagements. If there are reporters in the room, they may include your app in their story. And if there are bloggers in the room they may blog about your app. Additionally, the conversation of the evening will be focused on you and your app, which can result in plenty of feedback about your product, further introductions and beginnings of interesting business relationships. Having a YouTube channel may not immediately make sense, but it actually makes amazing sense for a number of reasons. 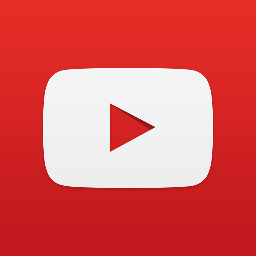 First, YouTube is the second largest search engine in the world. Many potential new users can discover your app there and you can drive many of those potential users from YouTube to your app. The next best thing about YouTube is that its videos can be repurposed in many ways. If you want, you can place your YouTube channel inside your app. Having videos people can watch inside your app will help you increase time spent on the app. You can also embed the same videos on your website, which will increase the time people spend on your website, and possibly the ranking of some of your pages that have your YouTube videos. Additionally, your YouTube videos may show up in actual Google search if your actual website doesn’t. And if all that wasn’t enough, YouTube videos are more likely to be shared because people like videos and it is often easier to consume video content rather than read text. Plus, if all else fails, you can make money with YouTube videos by placing AdSense ads on them. YouTube is possibly the most versatile platform. And your videos can be used for many purposes. Have you noticed that most apps in the app stores are free? That isn’t because developers don’t want to charge you. It is because the app stores make it much easier to promote free apps. And by virtue of that, paid apps never end up ranking well in app store search and most consumers never see most apps. So the common approach is to make your app free to download, which would help to make your app more competitive in search. And once you are competitive in search and are getting downloads, hopefully you will be able to figure out how to make money from your users. I saved this tricky one for last. While you cannot really track how many people click or see your app’s URL in search (not your website’s URL, but the Web URL of your actual app), it does show up in various searches and you can do SEO for that URL in order to get it ranking well. In fact, often it will outrank your website because it is on a very strong domain. So try to see what keywords your app URL ranks for and try to point some links to it in order to get it to rank well in search. Alex Genadinik is a mobile developer and the founder of Problemio mobile business plan apps. Alex holds a B.S in Computer Science from San Jose State University and recently launched a blog at Glowingstart.com. Please say hello to Alex on Twitter @genadinik and let him know what you thought of the article.